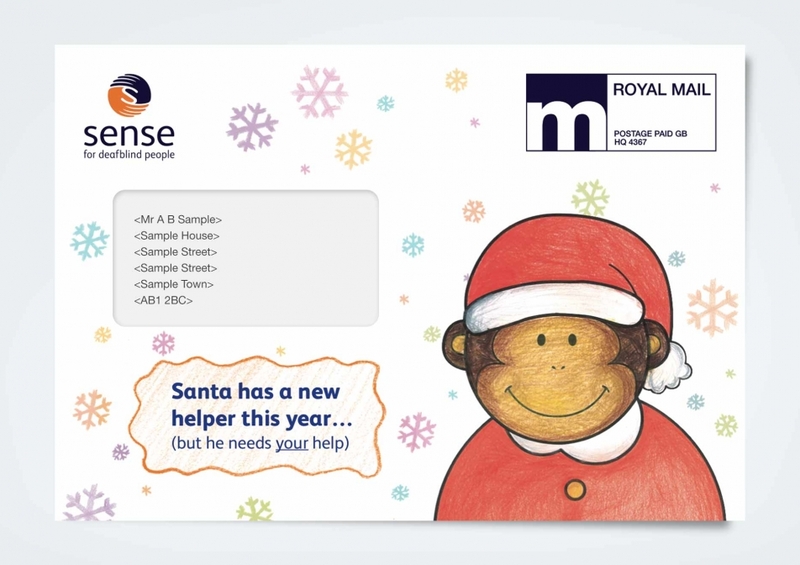 Sense needed a very special christmas appeal that would help donors feel closer to the children they were helping, and – of course – inspire them to give. 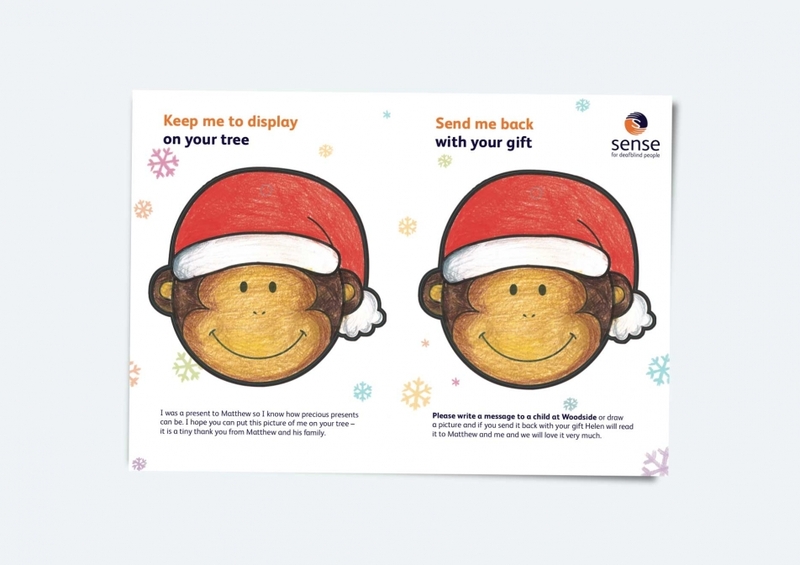 Sense is a charity that helps deafblind people learn to interact with the world around them. 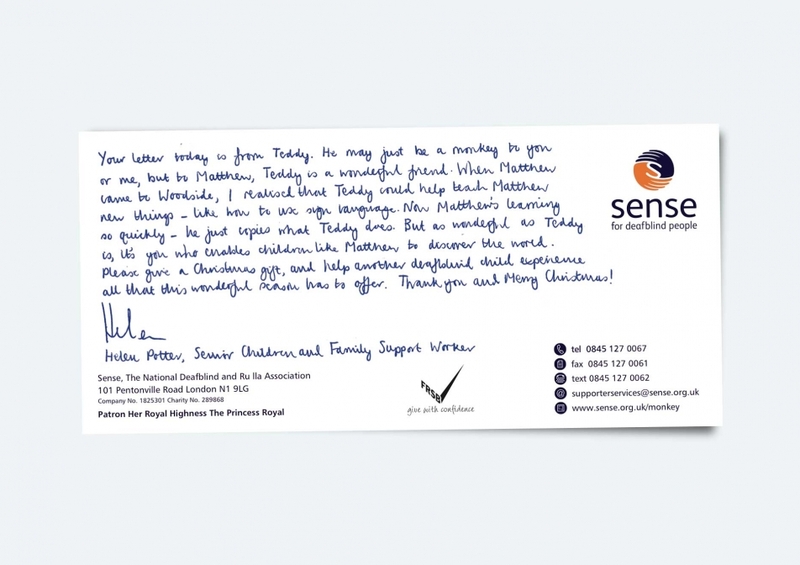 We went with Sense to meet three-year-old Matthew, who has problems with his sight and hearing. At that meeting, we also got to know Matthew’s best friend: a very special toy monkey named Teddy. Matthew and Teddy go everywhere together, and Sense found that Teddy has a special talent: his long arms mean he’s ideal for showing Matthew how to sign! 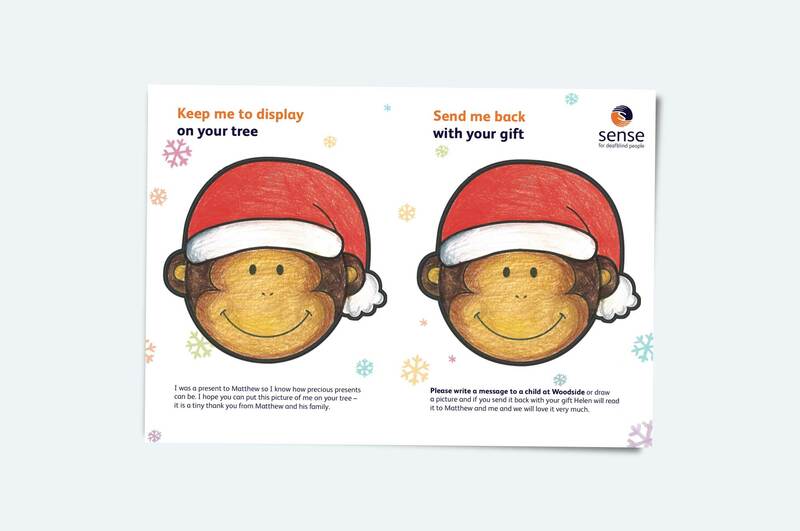 Sense’s Children and Family Support Worker uses Teddy’s long arms to demonstrate new signs that Matthew can copy. 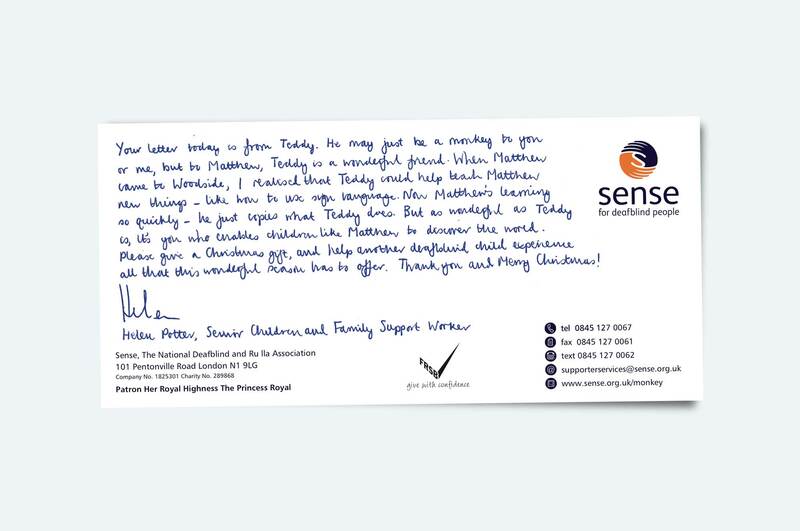 Who better to explain how Sense had helped Matthew to learn and develop, than his very best friend and constant companion? So Bluefrog developed an appeal straight from the Monkey’s mouth: a letter from Teddy the toy monkey. 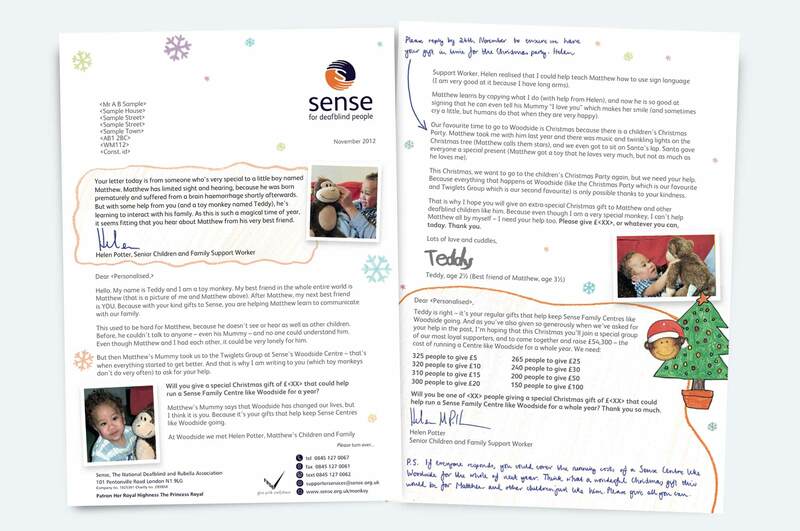 Teddy explains why Sense has been so important to Matthew, and how supporters can continue to help Matthew and other deafblind children. 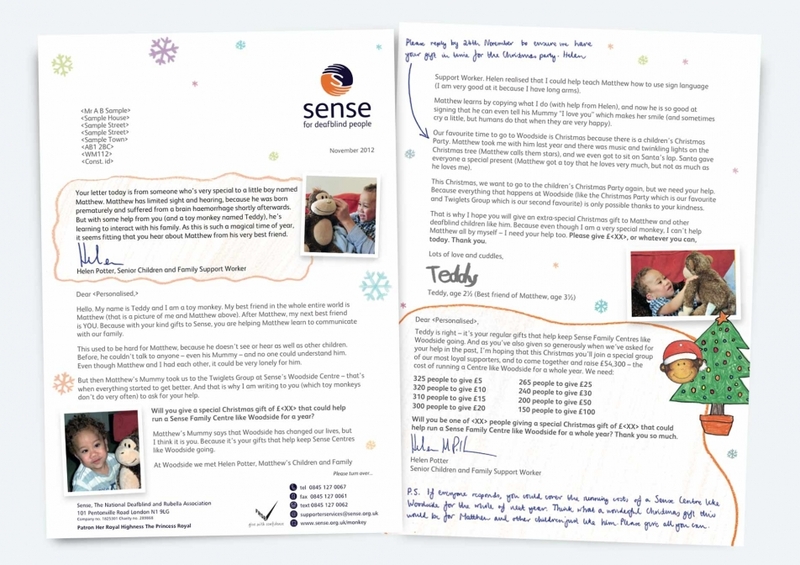 Donors also receive a comp slip from Sense’s Children and Family Support Worker, explaining more about Matthew and Teddy. We asked donors to send a special message of support on the back of an ornament featuring Teddy, and gave them their own Teddy ornament to keep.